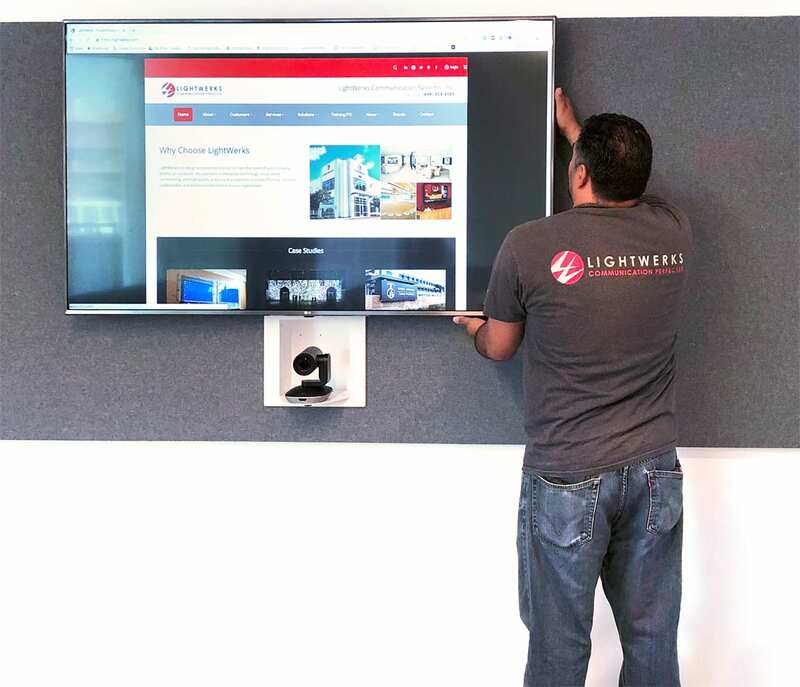 When you hire LightWerks, you will discover that our installation technicians expertly install any audiovisual (AV) system which we undertake. Our team of highly trained, experienced technicians arrive in properly-stocked vehicles, equipped with tools, documentation, and knowledge necessary to install your systems efficiently and effectively. They do all their work with a professional touch. From the moment they greet you on arrival to the time they vacuum and clean up at the end of the day. Our Project Management personnel, supported by internal processes, insures our work to be on-time, on-budget, and with excellent customer satisfaction.